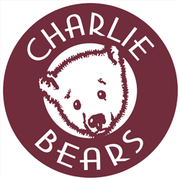 Our Bear Library is archived by collection and you can browse each collection by clicking on any of the ‘Collection Books’ shown and a list of all our bears in that collection will appear. We’ve listed them alphabetically for you so just click on your most-wanted bear’s name and the details will pop up for you. To access our Bear Library please make sure that you click HERE.